It is evident that in recent years, there has been a diversion of opinions, which is painful to investors and also encroaching on the national matters of State. Therefore, the global community has to realize that the present ISDS is not always working effectively and alternatives should be proposed. The European Commission’s proposed ‘Investment Court’ might be a step towards formulating an alternative. No doubt that the proposal is a good attempt but it still needs to be revised. Free trade agreements (FTAs), bringing the total number of agreements to 3,268 (2,923 BITs and 345 ‘other IIAs). The total number of IIAs was lower down in 2014 as compared to 2013 where there was a total of 44 IIAs (30 BITs and 14 Other IIAs). The interesting fact is that in 2013 the number of BITs terminated was 148, out of which a new treaty replaced 105, 27 were unilaterally denounced and 16 were terminated by consent. 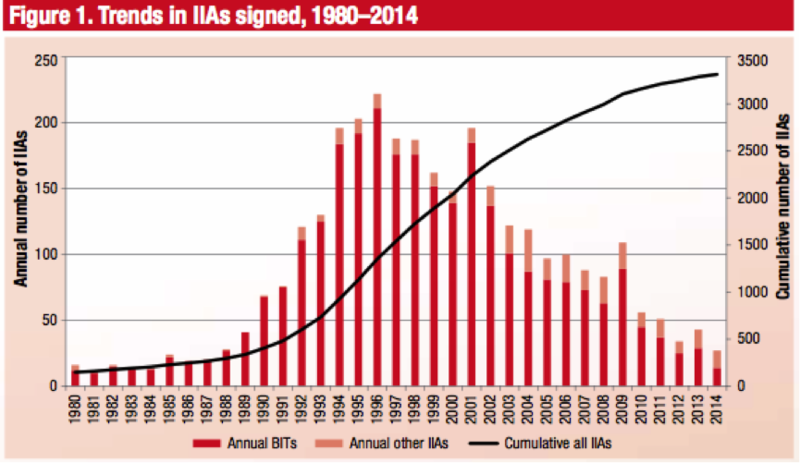 Figure 2: Most Active negotiator of ‘other IIAs’; treaties under negotiation and partners involved. Source: UNCTAD, IIA database. The above figure emphasizes the number of treaties under negotiation and partner countries involved in a negotiation. At present, the European Union has 28 treaties under negotiation among 70 different countries as partners. Although the data highlights seven countries under negotiation, but at present there are 45 countries and four regional integration organizations that are revising their model IIAs. The findings of UNCTAD data highlights that the countries’ willingness to enter into agreements and few IIAs are under revision. This implies three things. First, negotiation is getting more complex because of the increase in the number of countries in the negotiation process, as every country has a share of interest. Furthermore, even if a deal is negotiated in the broader package, then also the question of commitment to those issues is very important. Second, the interrelation between IIAs and domestic concerns comprising ‘social, environmental and public health’ matters makes negotiation more difficult. Ignoring this issue means that negotiation has a severe impact on the development of host countries. Therefore, finding the proper balance may take more time, which makes negotiation slow. Third, some of the most recent investment disputes might show that IIAs go beyond the protection and promotion issues and leave no flexibility on some issues that allow member countries to peruse their development agenda, according to their needs. Fourth, the transparency in negotiation deals creates a public nuisance on some contingent issues, diverse opinions on other issues, which may or may not be discussed, would have a negative impact on negotiations and, as a result, it creates negative public opinion. Fifth, recent claims of investors under the investor-state dispute settlement mechanism have raised concern on such negotiation deals particularly such claims are encroaching upon host state sovereignty and domestic regulation. The critics fear that the growing frivolous claims brought to ISDS will slowly discourage investors and states to opt for ISDS. The data shows that the average cost of arbitration is $8 million per party. Therefore, at international level, there is a need to offer an alternative, which balances both the interest of investors and states. Moreover, such an alternative should be acceptable by both the parties. In recent years, the relationship between the state and investors is getting salvaged. The development will be fragile when rift exists between the investor and state. Parties – for own benefit – use the increasing diverse opinions of the arbitration tribunals. This will result in negative consequences in global investment regime. The possible way to balance the system is by revising ISDS provisions or adopting investor-state mediation. The very idea of arbitration, mediation and conciliation is to resolve the dispute. Among the three, arbitration is overwhelmingly accepted for several years. The growing criticism of ISDS has sorrowed relation between investors and the State and should be looked at with immediate concern. Perhaps, the time has come to also use the mediation process in Investor-State Disputes. There has been an attempt to use mediation in Investor-state disputes with success in a limited jurisdiction. However, scholars argue the very nature in which mediation aims to settle a dispute is different from arbitration, making it difficult for acceptance of mediation. According to Jacqueline Nolan-Haley in her work ‘Mediation: The ‘New Arbitration’ argues that “the morality of mediation lies in the optimum settlement, a settlement in which early party gives up what he values less, in return for what he values more. The morality of arbitration lies in a decision according to the law of contract.” The author explains this observation, as the nature of mediation is more adversarial than that of arbitration. Similarly, authors Welsh & Schneider in their work ‘Becoming Investor –State Mediation’ (2012) analyze a very fundamental difference between ‘mediation’ and ‘arbitration’. According to the authors, mediation is an ‘interest-based’ system of negotiation, which looks like a meeting. Whereas, ‘arbitration’ is a ‘right-based’ system which looks like a hearing. The very fundamental concept, which the authors are trying to convey, is that the mediation facilitates parties to arrive to a decision unlike arbitration, which focuses on adjudication. Also, the authors clear the misnomer attached to ‘mediation’. They identify several models of ‘mediation’ such as ‘facilitative’, ‘elective’, and ‘understanding-focused’, ‘therapeutic’ ‘Humanistic,’ ‘narrative,’ ‘insightful,’ ‘transformative’ and focus on facilitating the development of understanding and ‘integrative (or interest-based) solutions’. Among these models, the authors suggest adopting a model which will improve relationships between the parties and able to acknowledge volatile political situations. In other words, the authors suggest the last model as a suitable model in the context of investment treaties. Also somewhere in their article, the authors touch the possibilities of the role of state officials as potential ‘quasi-mediators’. I tend to disagree on this, particularly in the context of investor-state disputes. The role of state officials as quasi-mediators will further complicate the process and may create a trust-deficit environment. Therefore, it is important to note that the very foundation of the mediation process is ‘trust’. "The disputing parties may at any time agree to good offices, conciliation or mediation. Procedures for good office, conciliation or mediation may begin at any time and may be terminated at any time. Such procedures may continue while the matter is being examined by an arbitral established under this article, unless the disputing parties agree otherwise. Proceedings involving good offices, conciliation and mediation and positions taken by the disputing parties during these proceedings shall be confidential and without prejudice to the rights of disputing investor in any further or other proceedings"
This shows that mediation appears in some Investment Agreements and it is just a matter of time until such practice will gain momentum. There is a diversion of opinion within the scholar’s milieu arguing that arbitration is more favorable than other forms of dispute settlement. However, the recent trends urge us to rethink arbitration and finding beyond the arbitration. This forum shift has been realized in other international communities, as a result of IBA rules on Mediation developed to encourage good practices of mediation. One of the important features of the IBA rules on mediation gives the liberty to the state to make the mediation process private. This will take away unwanted public opinion. At the end, I think every modern Investment agreement should include ‘Consultation’ & ‘Mediation’ among the methods for amicable settlement of disputes arising out of International Investment Agreements. I believe adopting mediation would be a right approach because the process does not abide with a strict interpretation of law unlike in ISDS. Similarly, the mediation process is a more informal proceeding than ISDS and involvement of a neutral party to the dialogue would give rise to a win-win situation for both parties. Moreover, in the broader sense, the inclusion of mediation in IIAs will make a country less skeptical about consequences of litigating intellectual property rights through regular ISDS mechanism. In other words, the mediation process will help the state to main regulatory rights in the host country. On the other side, it is important to note that the decision of mediation does not gain force as like of arbitration under the ICSID Convention, making mediation a toothless weapon. This would be the reason for Europe to opt for ‘Investment Court’ model in spite of reference to mediation in CETA, which is similar to the WTO mediation process for trade dispute settlement. However, there is a school of thought believing that mediation may create transparency and a proper environment to negotiate between the parties. But the lack of enforcement of such a decision might make the situation worse. Therefore, it would not be rational to jump to a conclusion that the ‘mediation’ process will immediately solve the problems raised by ISDS. Moreover, the mediation process is yet to be tested in International Investment Agreements. Talking about investments I must say, that it is very convenient to implement deals via ideals virtual data room. You may make even due diligence there.